Alright let me help you out here. 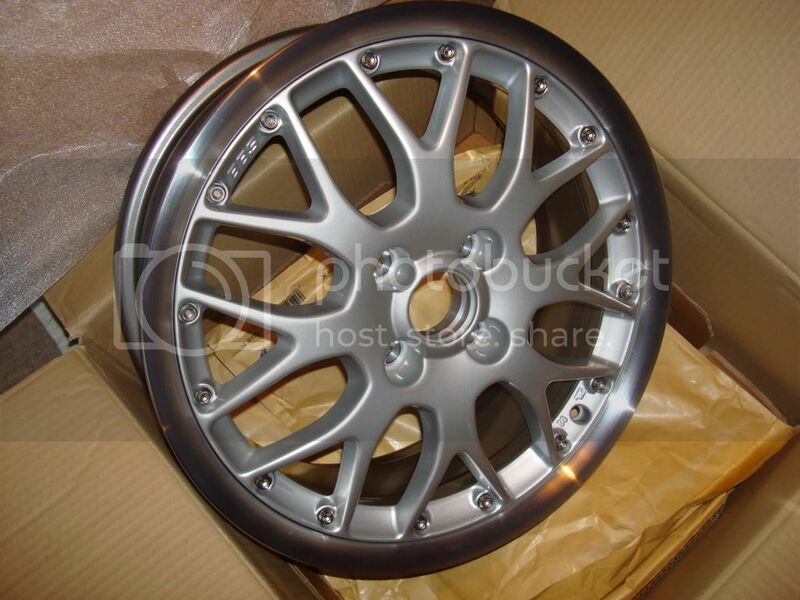 I would run these wheels with 15mm front and 20mm rear spacers. They will sit nicely, just inside the fender arch. Your 195/50s would work fine here with no rubbing at all. Good luck. Also the fronts will sit VERY close to the struts but should clear by a hair. Just don't try mounting 225s because then they will scrub. Will the wheels clear the front struts without spacers ? Yes they will fit. But the tires are too small for the weight of the car. 195/50 minimum. Even 205/50 or 225/45 would fit there's a lot of space. 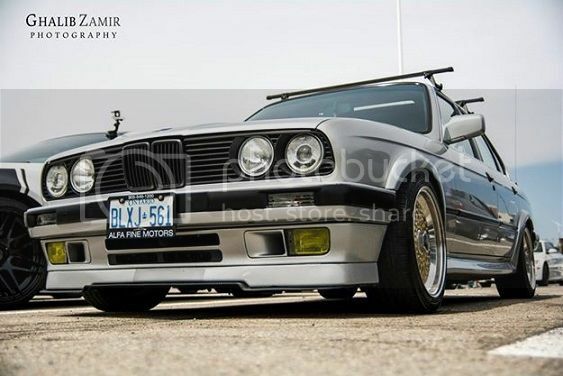 Sorry for bumping an oldish thread, but need to know whether the following wheels will fit a stock E30 with no suspension/arch mods? BBS RS 764, 16x6.5 (4x100), ET45 with 205/45/16 tyres. And are they a good choice in general? Not a good choice, they are too skinny and too high in offset. Would require 30mm spacers to begin to look nice. Weird setup. Put the +31 in the front and you're done. I'm looking to go an inch wider on the rear lips on my RS soon and needed your help with the tire sizes. Currently running 205/45 on the x8's. Also ditching the eibach pros for H&R race if that matters. 205/45 and 215/45 staggered would work well. Thanks for the fast reply! don't you think 215/45/16 will be a tough size to find, do you know which companies offer tires in that size? I might be able to live with a 205/50 if they're easier to find but would they clear the fenders and flares without rolling? or will the 50 wall just kill the look of the wheels all together. Sorry about all the questions and thanks again!